Did you know that between 50% and 70% of the water you use may be going to water your lawn? And that, additionally, you may be over-watering your lawn? According to the EPA, most people overwater their lawn – which causes it to be unhealthy in addition to wasting water. The number-one reason people overwater their lawn is because sprinkler controllers are notoriously difficult to understand – and even to reach behind mounds of stuff in a dirty and hot garage. A new product called WaterDex circumvents the difficulty of reaching and understanding your controller by giving you a remote control that can be used anywhere in the house. WaterDex allows you to control your sprinklers from inside your home. WaterDex owners can adjust their sprinkler setting by going onto the company’s website to look up their region’s index number, a set percent their sprinkler system should be watering. Customers then set that percent with a wireless remote and let the sprinkler system do the rest. It is something that can be done as often or as seldom as one likes. WaterDex owners can even sign up to receive email notifications of their region’s index. “WaterDex not only has the ability to help consumers reduce their water bills, but if enough people use the product it could significantly reduce water waste at a time when water agencies across the country face frightening water shortages and consumers are realizing dramatic increases in the cost of water,” says Matt Davenport, owner of Rockrose Technology, the company that invented WaterDex. Rockrose is a local company based in Irvine. 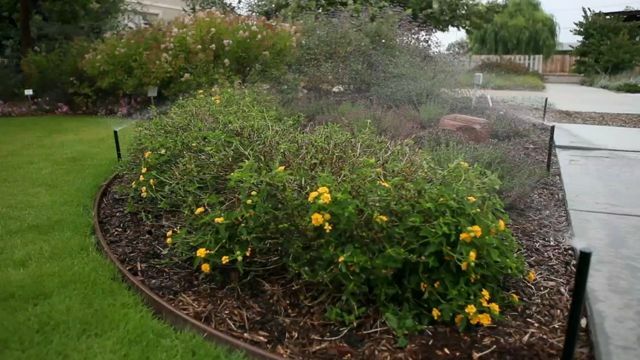 Watering gardens and landscapes likely accounts for between 50% and 70% of your water bill. Water agencies have long been promoting smart controllers, which interpret weather data from local stations automatically, but those require replacing the controller system itself, which can be something a consumer is not ready to do. According to Rockrose Technology, WaterDex is a simpler and cheaper option. It also has “toy value” for the gadget-obsessed. You can find WaterDex at Lowes or go to their website at http://www.WaterDex.com. It’s really a good idea of using WaterDex which will help from over watering. That means it is totally having a full control over all the plants in lawn and acts like a robot for a lawn.